Until recently, live music was prohibited on Maple Street, and restaurants seeking to serve alcohol had to go through the conditional use process, which allowed for neighborhood participation, and allowed the City to place conditions on the service of alcohol, such as limits on hours of operation and restrictions on marketing practices intended to encourage over-consumption such as “happy hour” and drink specials. However, under the new Comprehensive Zoning Ordinance (“CZO”), which took effect in mid-August, all restaurants (city-wide) may serve alcohol by right, may have live music without a separate permit, and may stay open as late as 2 AM on weekends. Councilmember Guidry has proposed an overlay for Maple St. which will create an exception to that city-wide rule, making service of alcohol, late hours, and live music conditional uses on Maple Street, essentially returning restaurant operations on Maple Street to the rules under the old CZO. Because the new CZO has already taken effect, existing restaurants on Maple Street will all be governed by the new CZO, and will be allowed to have live music, etc. Since the new CZO took effect in August, three existing restaurants on Maple have already filed applications allowing them to intensify their operations: Babylon Café, Ciro’s Cote Sud, and Jamila’s Café. Exactly what changes will occur at those restaurants we don’t yet know. However, if the Overlay passes on Thursday, any new restaurants will have to go through the conditional use process, which will give the Council and area residents more say in what will go on in those new restaurants. The conditional use process proposed by the Maple Street Overlay is not unduly burdensome. It imposes no burden on bookstores, coffee houses, or offices. The burden it imposes on ABOs is justified by the burdens ABOs impose on neighborhoods, as well as the burden that neighbors bear when they are forced to rein in an errant ABO. In addition, the conditional use is not dead. Many uses, including funeral homes, gas stations, reception facilities, and fast food restaurants remain conditional uses in the new CZO. Why is conditional use process only thought burdensome when applied to ABOs? Why should ABO’s, which pose more potential disruption to a neighborhood than most other uses, not be subject to the conditional use process, particularly in neighborhoods where abusive drinking practices by young people have a long history? The Master Plan requires that rules be tailored to individual neighborhoods and says that if we want “Vibrant Neighborhoods,” we need "improvements tailored to [the] character, conditions and needs of specific neighborhoods" and new development that “fits in with existing neighborhoods.” Volume 2, Chapter 14 of the Master Plan requires that decision makers “support the character of successful residential neighborhoods . . . ” Maple Street is not Harrison Avenue, nor is it Frenchmen Street. The city-wide rule allowing restaurants to have alcohol by right, to host live music, and to keep late hours, while it may be appropriate for many areas, is not a good fit for the Maple Area, which is largely residential. Maple Street does not differ significantly in intensity from other corridors in the area, including nearby Oak or Freret Streets. Because of this, there is not [sic] justification as to why Maple Street requires a separate set of regulations that would differ from other parts of the City. The final (re-written) staff report recommending denial provided no data supporting the Executive Director’s conclusion that Maple no different in intensity from Oak and Freret. To the contrary, Maple has been much more problematic than Oak, as testified to by CM Guidry, who, as District Councilmember, is in the best position to know. At one council meeting, she played a video showing crowds of college students partying in the middle of Maple Street. 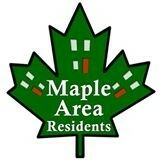 The rewritten report failed to consider the history and character of Maple. Maple, unlike most other commercial corridors in the City, is very close to universities, has a history of establishments serving college students, and is already saturated with bars and restaurants. Two bars on Maple were recently sanctioned by ABO board for serving minors, and numerous restaurants on Maple have operated as bars over the years. One was even stripped of its Conditional Use for continued violations. Furthermore, the zoning on Maple is HU-B1, unlike Oak and Freret, which are zoned HUMU, and where bars, drive-throughs, hotel and motels, Live Entertainment Secondary Use, micro-breweries and distilleries are either conditional or permitted uses. Development in an HU-B1 neighborhood is intended to predominantly serve nearby residential areas, whereas an HU-MU zoning district is designed to be more of a destination. Development in HUB1 districts needs to be both “sensitive to and compatible” to adjoining areas, whereas HUMU need only be “compatible.” That Maple was zoned differently from Oak and Freret demonstrates that the Executive Director’s conclusion that there streets are not markedly different was incorrect. Maple Street, because of its proximity to the universities and its saturation with ABOs, needs a rule “tailored” to its “character, conditions and needs.” Maple Street needs some protection to prevent the existing saturation of ABOs from increasing once the new CZO becomes effective and rules on ABOs are loosened. The Overlay would provide some of that protection.